Now despite the name, Soil Mate is not a bathroom review site, or a dating site for Farmers finding farmers. That said, it does allow eaters, drinkers and consumers to find you guys…to find farms that match their needs…to build a real connection…to find their Soil Mates. 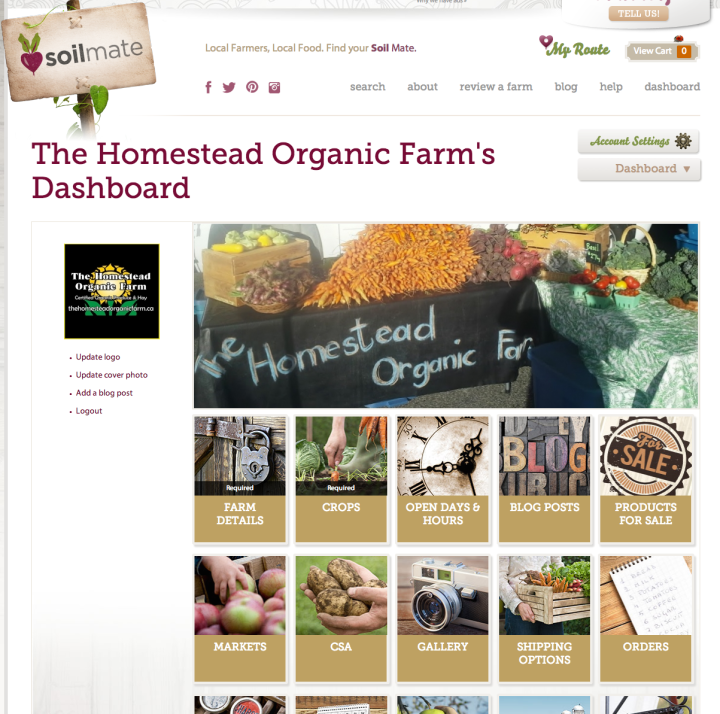 Soil Mate is an online platform for connecting eaters with their local growers / raisers / producers. In that sense it is similar to the MANY local directories out there, but where it is different is that it goes way beyond a listing and works on many different levels, for both farms and consumers. It allows visitors to see who grows / raises / produces what within a 100mi/160km radius of their search location. They can see how you do it, what you sell, when it’s available and where and how they can buy it. You can even sell your products through the site (if you want to) and they can also build trip itineraries too (add farms, markets and wineries and build car, walking or bicycling trips). Listings your farm is completely free and the site is growing and spreading fast. We have been live for a few weeks now and already have listings in 7 Canadian provinces and 12 US states. We will be marketing heavily to consumers in a few weeks time, so if you would like to use the site as a free marketing tactic, I’d suggest that you create profiles sooner rather than later for maximum exposure. It takes 20 minutes to set up a basic profile and then as long as you want to spend if you want to use a bunch of its other features: feed in your social media feeds, blogs, events, galleries and a bunch of other things (all free). Literally as much or as little as you like. Here’s a quick 5 step guide to setting up your profile. 1. 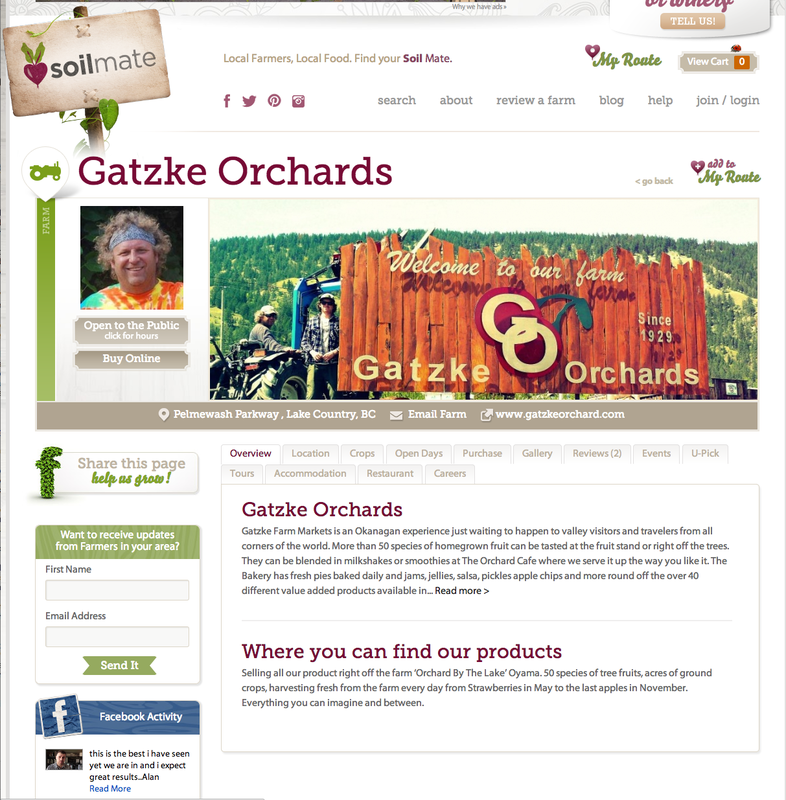 Go to www.soilmate.com/user and ‘Create New Farm Account’. It will take some basic info, then email you a confirmation. Click the link in that confirmation email and you are in to create your Soil Mate profile (if you don’t see the email, check your junk/spam folder as they sometimes get filtered to there). 2. Tell your story. 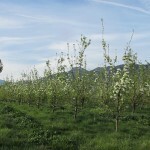 Remember users of the site are looking to learn about their local growers. Talk about your history, your ethics, whatever you like. Just tell us a little about yourselves, as with everything in Soil Mate, as little or as much as YOU like. 3. Tell us where your products can be brought. 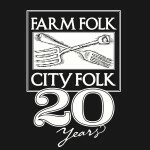 If you do farm gate, tell us (and put your hours in), selll at farmers markets, connect to their profiles and be interlinked within the system. Sell into stores or restaurants, tell us, so we know where we can get your products. 4. List your crops. This section is key. It takes the most time in the setup process, but its important. Why? Well Soil Mate works differently from 99% of the directories out there, in that consumers can filter the farms by the crops or products they are looking for. If you want to be able to be found by what you grow/raise/produce, you need to add it to your profile. Its straight forward, but if you have a problem with this step, give us a shout and we’ll help you out (info@soilmate.com). One last point to make on this mammoth post. 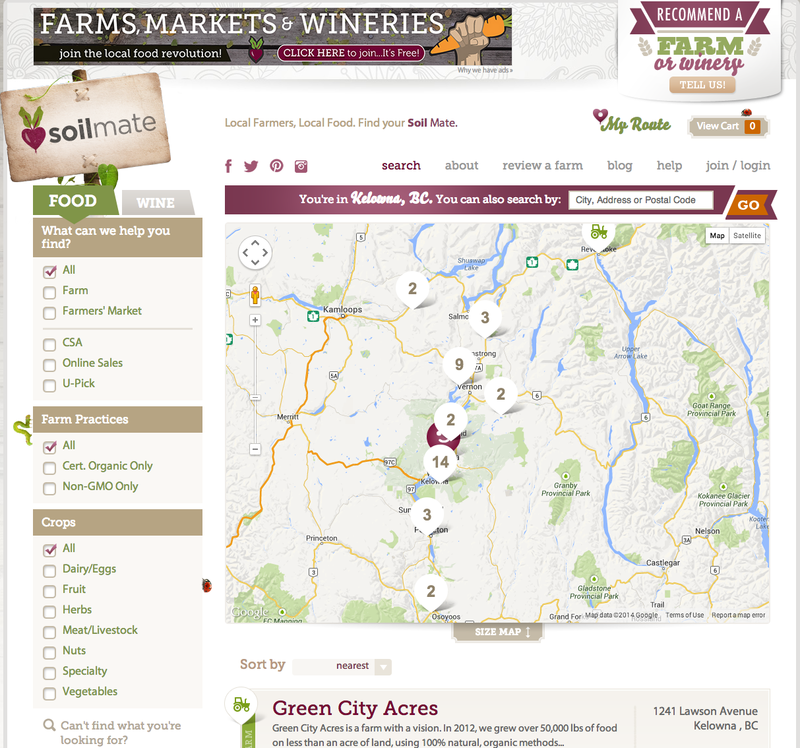 Soil Mate makes its revenue through ads. Advertisers will be screened for philosophical alignment. 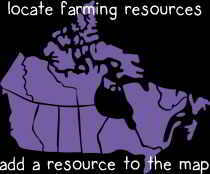 10% all all revenue will then go back into communities for programs around farming and growing local food purchases. 10% of all staff time goes into volunteering in communities. The long term view is to use that 10% and begin purchasing farmland to protect it from development and then leasing it back to those who want to farm. Anyway, if you have got this far in this long blog post…wow..well done…thank you…and hope you sign up. 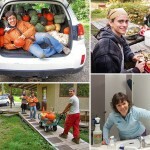 New Internship Opportunities at Yasodhara Ashram – preserving, processing and procurement.